Brush your dentures every day just like you brush your teeth. But don’t use toothpaste while brushing your dentures. According to an experienced dental professional at Brighton Implant Clinic, many types of toothpastes can be damaging to your dentures. You should use a toothbrush with soft bristles, made especially for cleaning dentures. After every meal, use water to rinse your dentures. Moreover, you can purchase denture cleaners to soak your dentures, but soaking isn’t an alternative to brushing—you must brush your dentures to get rid of plaque. Place a towel in the sink or fill it with water when cleaning your dentures as this will reduce the risk of breaking the dentures. When you are not wearing the dentures, place them in a cleaning solution or soak the dentures in cool water to protect your dentures from drying out. Always seek advice from your dentist before using a denture cleaning solution. 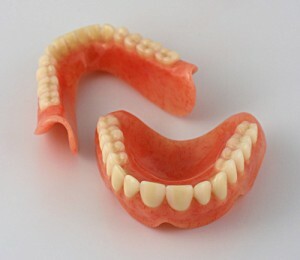 Removing your dentures at night lets the gum tissue to rest.